Jim Norton has a BA from the University of the South with an emphasis in printmaking. 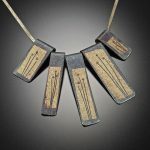 In 1976 he came to the University of Georgia to explore Jewelry and Metalwork, but got sidetracked and in 1977 he and his wife opened a retail business — Homeplace Gifts & Toys. 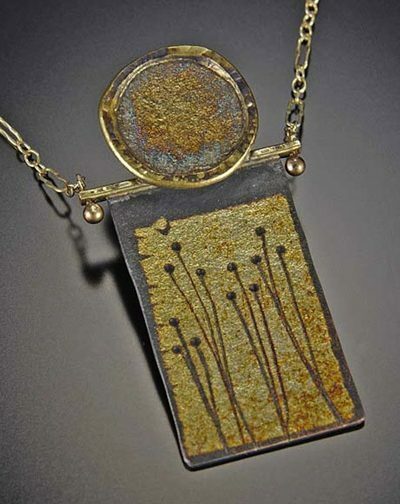 In 1998, Norton renewed his interest in metalwork by attending the John C. Campbell Folk School in Brasstown NC. This exploration led him to enrollment at the University of Georgia’s Lamar Dodd School of Art. 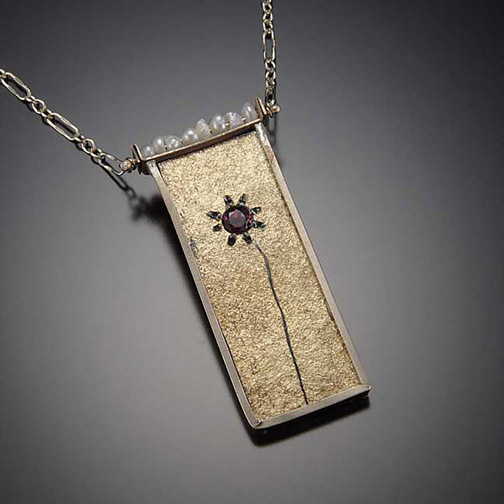 He received his MFA in Jewelry and Metalwork in 2007. 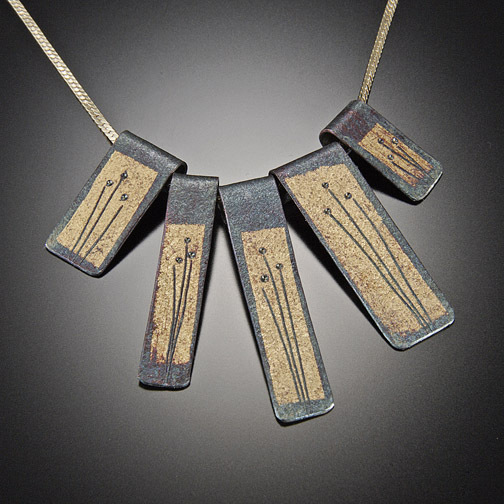 Today he produces work for Galleries throughout the US and Craft Festivals in the Southeast. Working mostly in Gold and Silver he specializes in the technique Kumboo. Kumboo is a process whereby 24K Gold foil is fused to a Fine Silver surface. 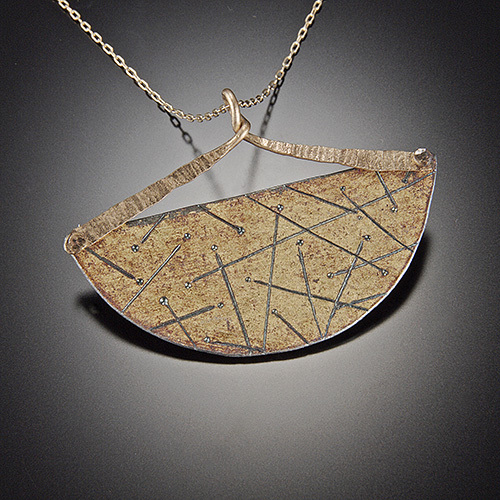 By heating the metals together and then burnishing the surface it creates a permanent bond between the two metals. 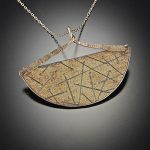 After the fusion process the pieces are altered, hand textured and given a final patina.